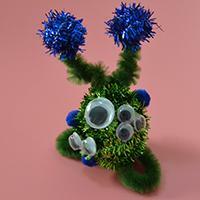 Wanna make homemade toy gloves? 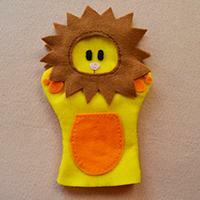 The easy Pandahall tutorial below will show you how to make yellow felt toy gloves for kids. 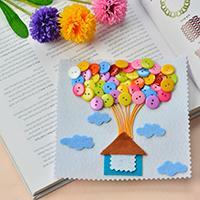 Are you planning to make any cute crafts for your kids? 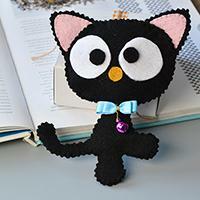 Then I guess this Pandahall tutorial on how to make cute felt cat for kids will attract you. Come one guys! 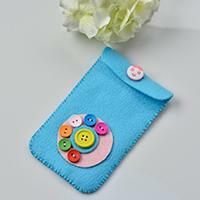 This diy project may arouse your interest – make a lovely felt phone pouch with button decorated at home. 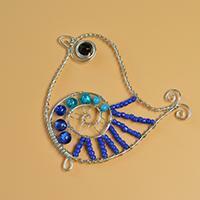 Love aluminum wire crafts? 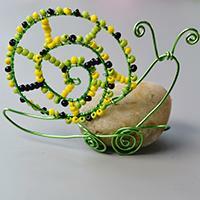 If yes, today’s Pandahall tutorial on how to make cute aluminum wire wrapped snail with colorful seed beads really deserves your attention! 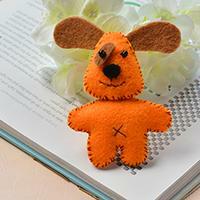 Want to make any lovely doll for your kids? 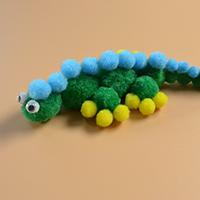 Then Check this Pandahall tutorial on how to make felt doll for kids with black pearl beads. Try it! 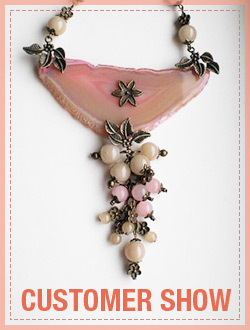 Do you want to make any interesting jewelry for your kids? 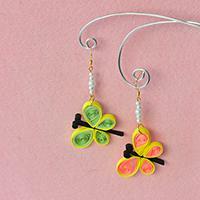 Then check this Pandahall tutorial on how to make quilling paper butterfly dangle earrings with pearl beads for kids. 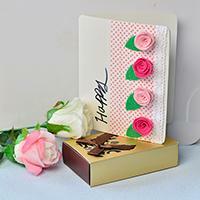 Do you have any interest for birthday card making? Then follow me to see this this tutorial on how to make handmade birthday cake card for kids with colorful quilling paper. 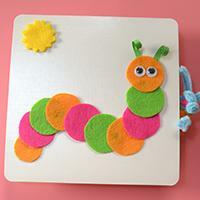 Today's diy project is about making a lovely gift card for children. 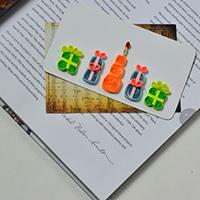 This may be a good birthday gift card for children, so I hope you could give it a try! Are you eager to knitting? Come with me. 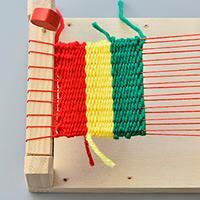 Today, I’ll show how to make knitting patterns for kids with wood knitting loom in details. 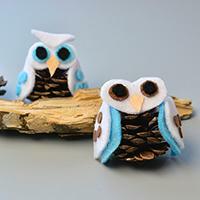 Love button crafts? 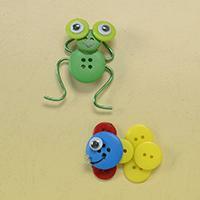 If yes, today’s Pandahall tutorial on how to make cute frog and fish made from acrylic and wooden buttons will catch your eyes a lot! 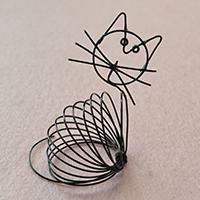 This easy DIY project is about a cute black wire wrapped cat craft. 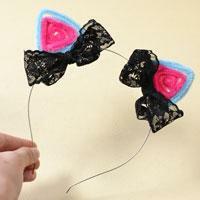 Follow me to see how to make the wire wrapped cat crafts. 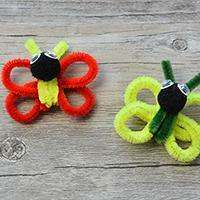 Wanna make easy butterfly crafts for kids? If yes, you may try this easy Pandahall DIY project. Just go ahead and have a nice try!